A Novel Cover Up is a semi-regular feature that looks at how covers are made. 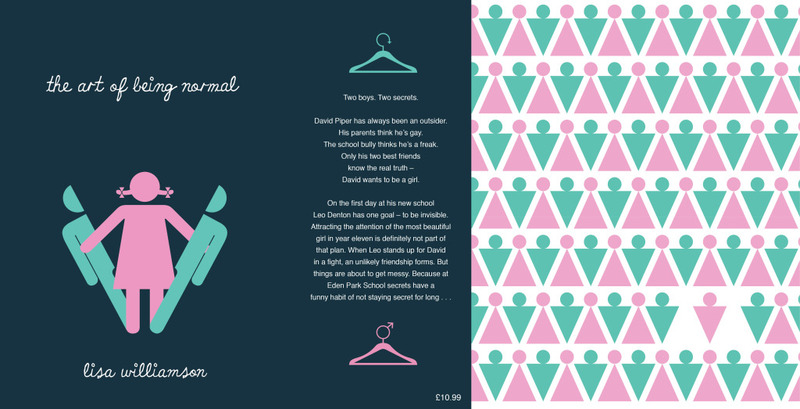 Thanks to David Fickling Books, I have been fortunate enough to interview Freelance Art Director/Designer Ness Wood and Illustrator/Designer Alice Todd about how they designed the cover for The Art of Being Normal by Lisa Williamson. Other than the cover, all images in this post are copyrighted to Alice Todd and used with permission, and can be clicked to enlarge. 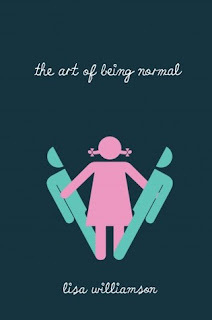 Can you tell us about the cover for The Art of Being Normal? What do you hope it tells readers about the story? Ness Wood: It is a very well written book about identity and fitting in – finding your own place in the world. Alice Todd: The cover addresses the key theme of the story, the issue of transgender. It expresses how one can feel trapped not only in one’s own body, but also social conventions and norms. I wanted the cover to express the characters journey of self expression through the issues of gender and identity. 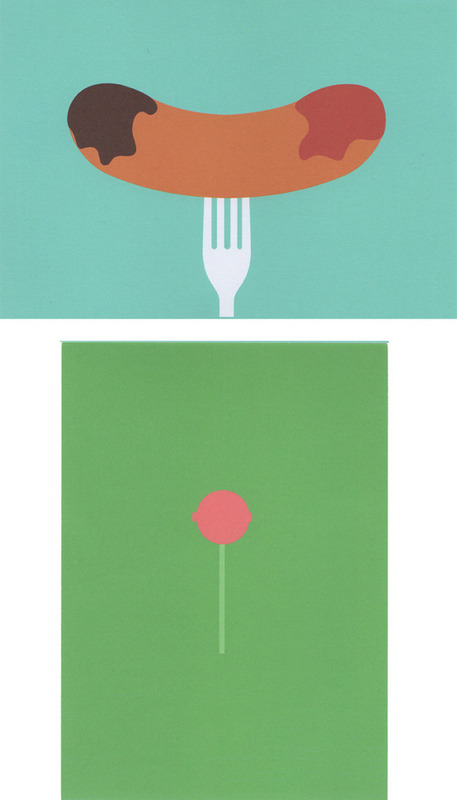 NW: I saw Alice’s work at the New Designers show last summer. Alice had just finished her degree and was exhibiting her work. I had read the manuscript and was mulling around ideas in my head. I saw Alice’s portfolio and thought that style could work for the cover, so I contacted Alice. AT: The concept came from reading and analysing the book - addressing the key themes raised by the story. The topic of transgender is so broad and complex that the visuals had to be symbolic, whilst being sympathetic This played a heavy influence when considering initial concepts. What were you given to base your ideas on? Did you have a manuscript, or were you given an outline? NW: I sent Alice the manuscript and asked her for ideas. I explained to Alice which work from her degree show I preferred. AT: I was given a manuscript to work from which really allowed me to understand the story as a whole. It helped me gain an insight to the issues raised through the characters journey, creating a better understanding of the issues that transgender people face on a daily basis. What went into creating the cover for The Art of Being Normal? Can you tell us about the process? Who else was involved? NW: Working for DFB is a very collaborative process. Although as freelance Art Director I have strong ideas, and though the project would suit Alice’s style, the publisher David Fickling, the editor Bella Pearson and and the sales director Phil Earle all get involved at the early stages. AT: Through Ness Wood at David Fickling Books I was commissioned to come up with 5 initial ideas, though I came up with plenty more and various developments on each ideas. After an initial briefing I sent a series of initial ideas over to Ness. Luckily, the publisher loved the ideas and asked me to carry them through to completion. I was told which ideas they liked and they suggested some possible changes. They were open to new ideas and developments but were clear in what they wanted from the final outcome. Ness and DFB were extremely supportive and had huge input throughout the process. What do you like most about this cover? NW: The simplicity of the design, the message and its very graphic nature. Alice’s ideas were presented very professionally and were all of a very high standard. AT: For me the covers strength is in its simplicity and boldness. It is unlike many book covers out there as it symbolises the themes rather than representing a specific event in the story. Were there any other early ideas for the cover? Why didn’t they make it? NW: Some of the ideas were too obvious and some too complex. I loved the repeat pattern and the coat hangers, other members of the team loved the illustration of one gender stepping out of another gender. 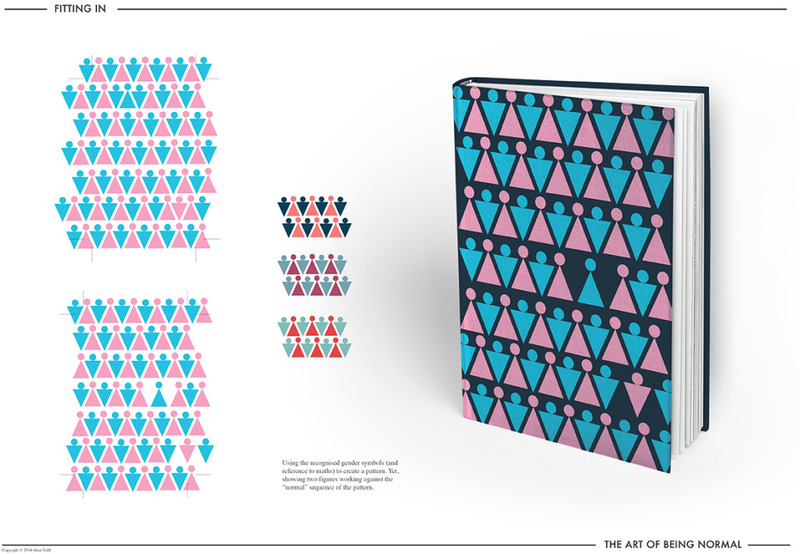 We used the repeat pattern as the endpapers and were fortunate to be able to get two colour endpapers costed for the book (this is unusual with fiction titles) as I felt it really needed the two colours to emphasise the message of the book. 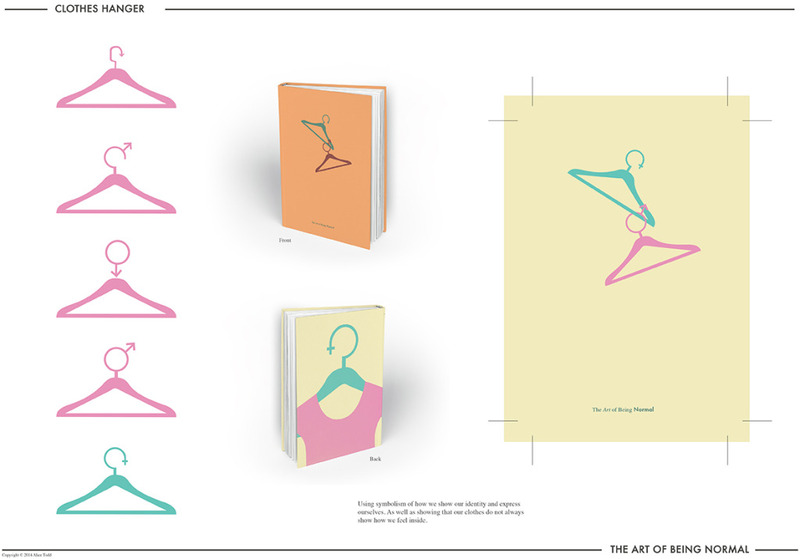 The coat hangers were used on the flaps and back of the book. AT: There were about 8 initial ideas. 3 of them were chosen to take through to include in the book cover. These are seen as the visual on the front cover, the coat hanger motif, as well as the patterned end papers. I believe these ideas were chosen over others as some where more abstract, whilst others too basic. David Fickling Books know the industry well and the target audience, so the choice was theirs. Thank you, Ness and Alice for the wonderful interview. It's great to see how a cover is designed when its completely outsourced from the publisher. Isn't the final cover just amazing? I love it! Be sure to check out Alice Todd’s website and The Art of Being Normal by Lisa Williamson, which is out now! Enjoyed this post? Then check out the previous A Novel Cover Up posts. What a fantastic post. I really do love this feature. I think the final cover/end papers look AMAZING. It is such a stunning book, right? So simple, but so eye-catching. Bold. Less is more! Brilliant!